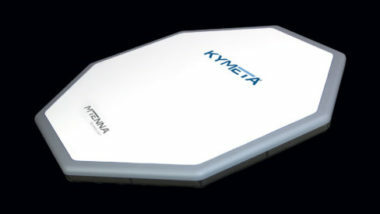 WASHINGTON — Kymeta founder Nathan Kundtz, who developed the key technology behind his company’s novel flat-panel antennas, will step down as CEO in November as the company searches for a replacement with more experience running a business. Kymeta announced Kundtz’s departure Oct. 29. Marc Stolzman, president and chief financial officer of Kymeta, will assume day to day activities. The company also said it recently completed a “sizable financing round,” but did not quantify the amount. Kundtz, who has a Ph.D. in physics and a master’s degree in electrical engineering, developed the key technology behind Kymeta antennas, designing metamaterials that can perform electronic-beamforming for use in satellite communications. 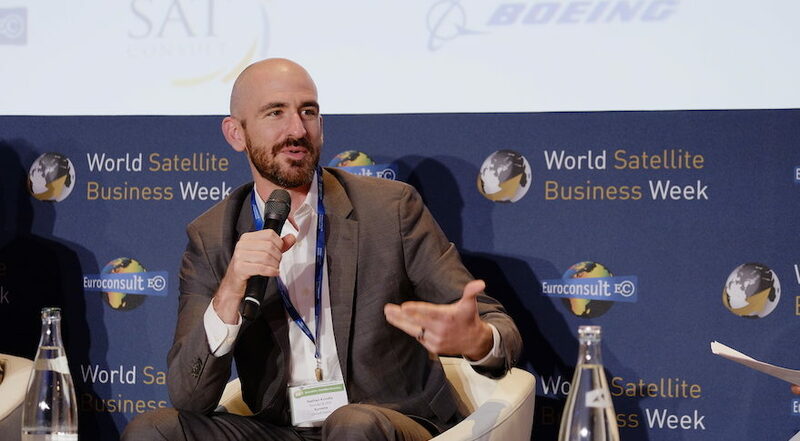 Kymeta, formed in 2012, released its first antenna products last year, leading a wave of companies seeking to build new, high-tech antennas for high-throughput geostationary satellites and constellations of smaller, more numerous communications satellites in lower orbits. In an interview, Kymeta Chief Strategy Officer Bill Marks said Kundtz is stepping down on amicable terms and will stay around to advise the company indefinitely. Marks said Kundtz’s role had shifted from mainly research and development work to executive responsibilities, roles that didn’t play to the inventor’s strengths or interests. Kundtz, in a prepared statement, acknowledged the need for an executive with more business acumen. “Kymeta is now in a true stage of commercial operations, and I share the belief of the full Kymeta Board that our company now needs the leadership experience of someone with a track record of driving significant commercial growth,” he said. Kundtz took the role of CEO in 2015 after the departure of former CEO Vern Fotheringham, who went to LeoSat for a brief stint. Marks declined to quantify Kymeta’s recent investment. Past financing rounds, including a $73.6 million equity round in March of 2017, put the company’s total investment at close to $200 million. Marks said Kymeta will conduct an external search, as well as consider internal candidates, for a new CEO.